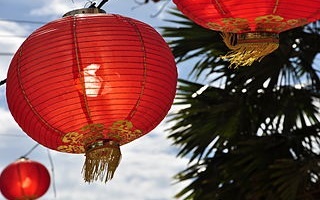 Join us for a fun-filled combination fundraiser event – Chinese New Year’s celebration and Messiah’s Youth Group Talent Show Saturday, February 2nd 5 – 8 p.m. in the preschool area at Messiah. Bring family members, friends, and neighbors to witness remarkable talent of more than 20 acts, and enjoy homemade dumplings with other traditional Chinese dishes or spaghetti with American sides. There will be a free-will offering for our Board of Chinese Ministry to purchase 30 Chinese/English Bibles and for our Youth Group to attend the Quake conference in Virginia Beach March 1 st – 3 rd , 2019.